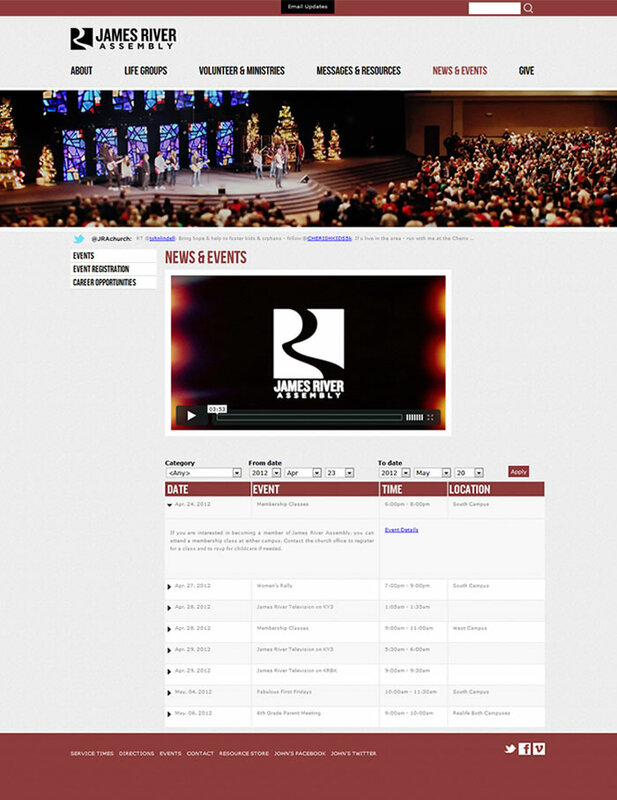 James River Church is a mega church with multiple locations. 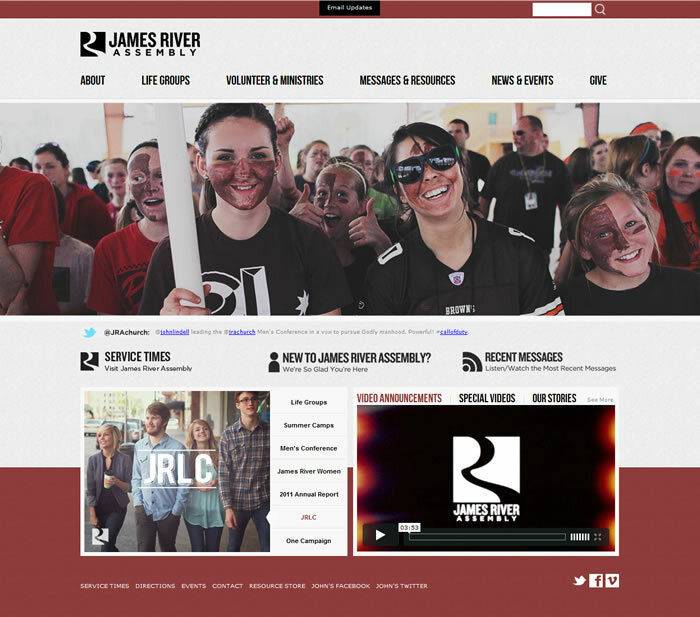 The photos below are from one of a handful of sites Web Marketing Services, LLC has had the privilege of working with JRC on over the years including a previous jamesriver.org site redesign. For this site redesign, Web Marketing Services, LLC was entrusted with taking the Photoshop files provided by JRC and turning them into a fully functional web site. This included integration with the content management system making it easy to manage and update in-house. 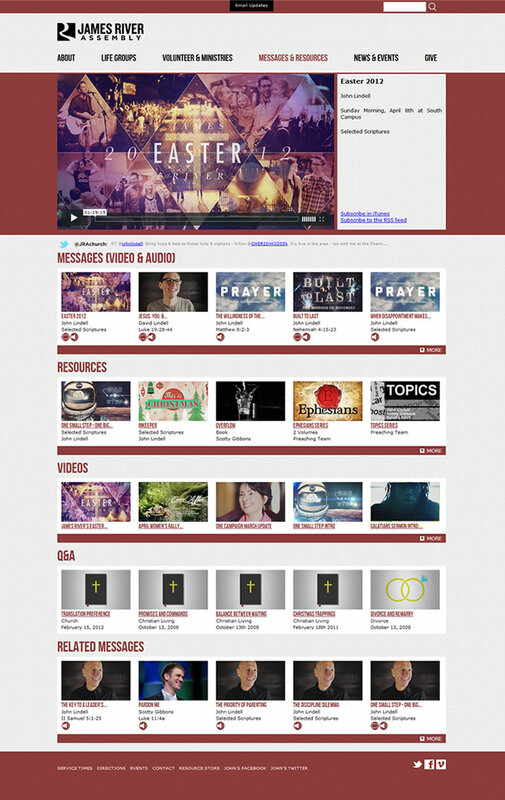 Jamesriver.org was recognized by Churchrelevance.com in a blog post titled "22 Top Church Websites of 2012".